Instilling friendship instead of fear was the dominant theme of Saturday's Peace Picnic sponsored by Woodland's Ecumenical Ministries. 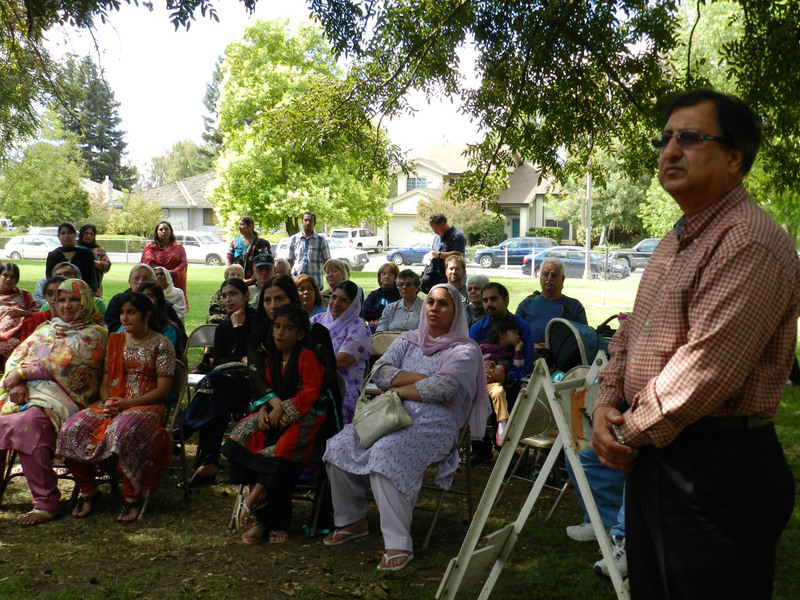 Held at John Ferns Park, the event drew around 100 people of all faiths to sit down and have lunch together. 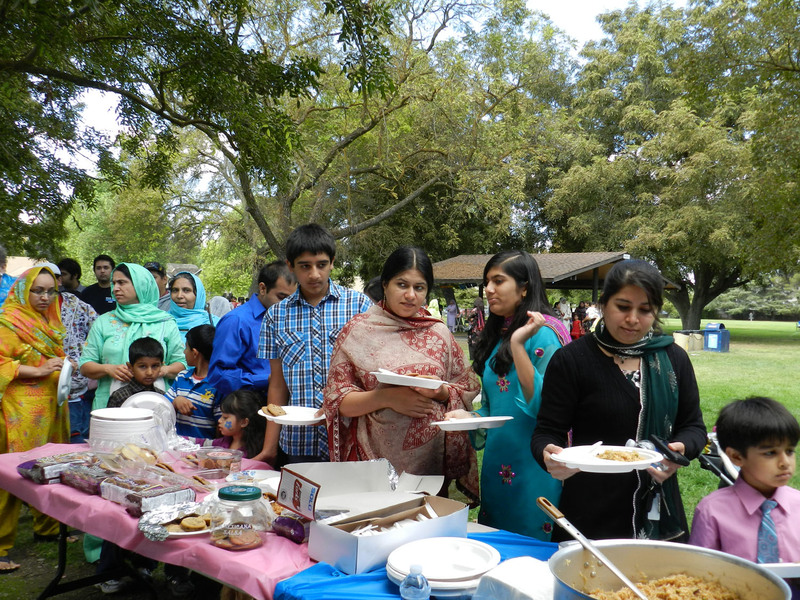 Started four years ago by the American Muslim Voice, peace picnics are held nationwide as a means of getting people to know one another. "I am so proud to see all of you here," said Samina Faheem Sundas, executive director of the American Muslim Voice. "Four years ago this was just an idea. It came about because we saw how 9/11 had divided the country. The idea was that if we just sat down and got to know one another we could reduce hatred and violence." 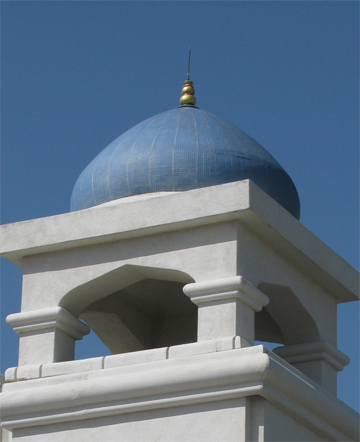 Sundas, who lives in the Bay Area, added that today is "National Invite Your Neighbors to Dinner Day." She explained the effort -- also undertaken by American Muslim Voice -- is to take people "From Fear to Friendship." "Getting to know one another we can change our lives for the better," she said, "we can get away from the hatred and move to peace and friendship." 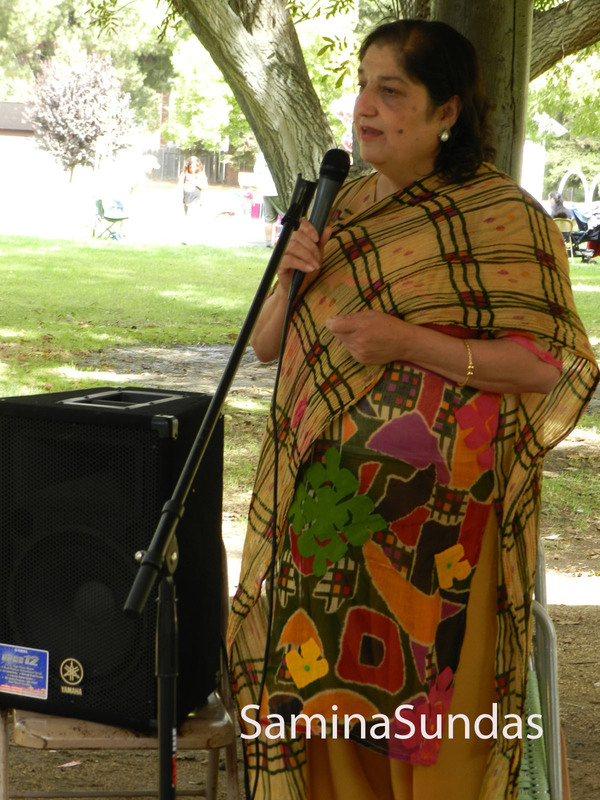 The picnic featured a barbecue -- complete with hamburgers and hot dogs as well as traditional Paskistani food -- and a variety of children's activities. Sundas even took the initiative of handing out traditional Muslim hajibs, or head scarves, which are worn by Muslim and non-Muslim women. While required of Muslim women in some countries, in the United States the hajib is considered optional. Nonetheless, many women (and a few men) gladly accepted the gifts and wore them around their necks. Mary McCorkle performed on the harp during the Peace Picnic. Other churches participating in the picnic included the Methodist, Presbyterian, St. John's Holy Rosary, Christian church, St. Luke's Episcopal, American Lutheran, and Congregation Bet Haverim. 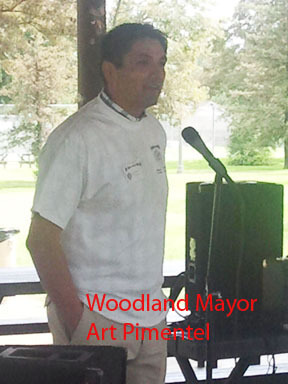 Community leaders present included Woodland Mayor Art Pimentel, as well as pastors Larry Love, Russ Spring, Kathy MacIntosh-Smith, Wendy Watson and Ardith Allread. 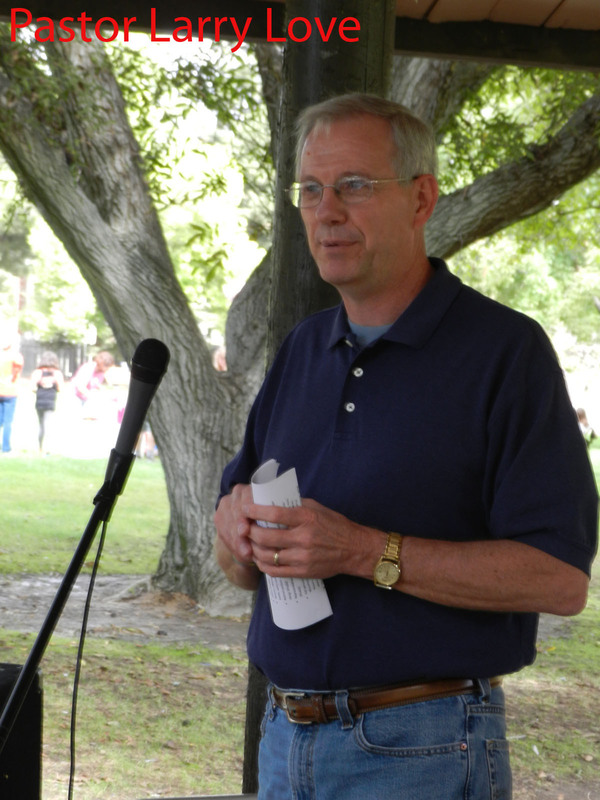 Pastor Allread of the United Methodist Church has previously written that "in many ways, it is a little strange to gather and eat with people who are dressed differently than you are, to eat unfamiliar food, who are all sitting together and seem to be engaged with each other. "How do you talk to someone you never spoke to before? How do you greet a stranger whose customs you do not know? What should you say beyond a nod and hello? "If you think about it, the words above exactly describe what is like for Muslims in our city every day," she continued. "We only have this experience if we deliberately put ourselves in such a setting. "It takes courage to say to a stranger: 'Hello, how are you?' But not much courage," she added. "It does take determination to have more to say than that. But actually, it's not that hard to ask an age appropriate question: Do you go to school? What subjects do you like, tell me about your children? Are they here?" Some of those questions were answered Saturday.